Academic researchers tend to specialize. John Handley, Wencheng Wu, and Beilei Xu were on Walt Johnson’s “must hire” list for exactly the opposite reason. Johnson, the executive director of the Goergen Institute’s Rochester Data Science Consortium, says the former Xerox researchers have repeatedly demonstrated their ability to quickly acquire new computational skills, then pivot to apply them to new and interesting challenges different from anything they worked on previously. “As companies in the Rochester area move from a traditional manufacturing base to a software-based economy, we want to educate them about what data science can do for them and provide a pipeline of people who can go and work with them,” says Johnson. That’s where Handley, Wu, and Xu fit in as the consortium’s newly hired research scientists. “They’re all very, very smart. They like to work on interesting problems. They work hard, and they do a good job,” says Johnson, a former a former vice president and director of the Intelligent Systems Laboratory at PARC, the renowned Palo Alto-based Xerox research center that eventually spun off as a wholly-owned subsidiary. 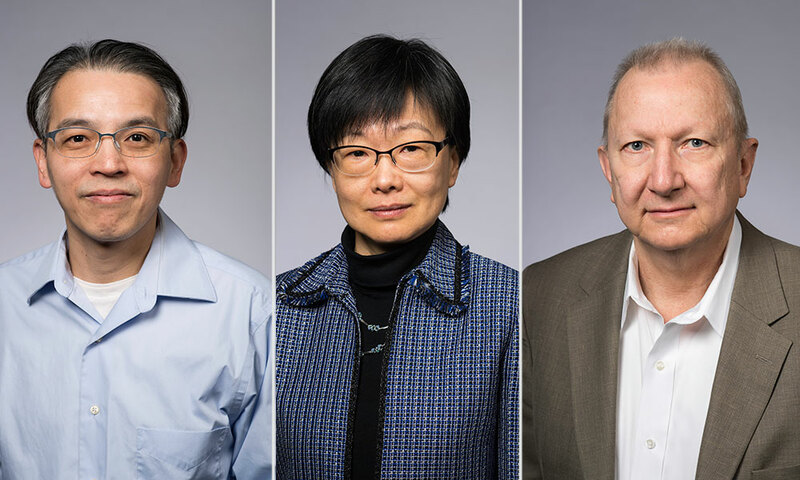 Handley, Wu, and Xu did that repeatedly during their Xerox careers. Focusing initially on various aspects of image quality and document processing, they eventually branched into quite different applications—especially when Xerox’s Webster research center became part of PARC. Handley, who has a master’s degree in math and a PhD in imaging science, joined Xerox in 1995 and initially worked on processing document images. But he soon became engaged in mining data from printer networks, both to analyze usage patterns and to see how those patterns related to structures of warranties and contracts. The work involved fundamentals of financial engineering, “a big change from my image processing days,” Handley says. When Xerox acquired a computer services company involved in public transit, Handley pivoted again. He read three undergraduate textbooks to gain a broad understanding of public transportation systems, then applied transportation analytics, time series modeling, and spatial modeling to drill deeper into how people “move around in a big city,” resulting in a mobility analytics platform. Wu applied machine learning and visual analytics as lead researcher in developing Xerox’s first robotic imaging system for retail applications. He developed prototype image analytics engines to detect railway defects, and to estimate skin age for cosmetics companies. He also helped develop a video-based parked vehicle detection system for the Washington, D.C., Department of Transportation. “I enjoy seeing my research outputs being used in the real world, and take pride in such achievements,” he says. He also has 112 patents. She did, eventually accumulating 116 patents, and applying machine learning, statistical modeling, and computer vision to a range of projects, including vision tools to detect and monitor abnormal gait in patients with Parkinson’s disease and other disorders; to enable non-contact monitoring of heart rate and respiration; to help detect violators using high-occupancy-vehicle (HOV) traffic lanes, and like Wu, to detect railway track defects. The consortium has received $7.5 million in New York State funding for three years to demonstrate it can help create “knowledge-based” jobs in Rochester and further the region’s development as a high-tech hub. Funding is also provided by corporate partners, which so far include Harris Corp. and Wegmans. With the addition of Handley, Wu, and Xu, he’s confident he’ll be able to deliver.